The Concorde, which was considered one of the safest planes in the world, was permanently grounded three years after the crash of Air France Flight 4590 in July 2000, in which all passengers and crew were killed. A successor to the Concorde may take to the skies once again after more than a decade! 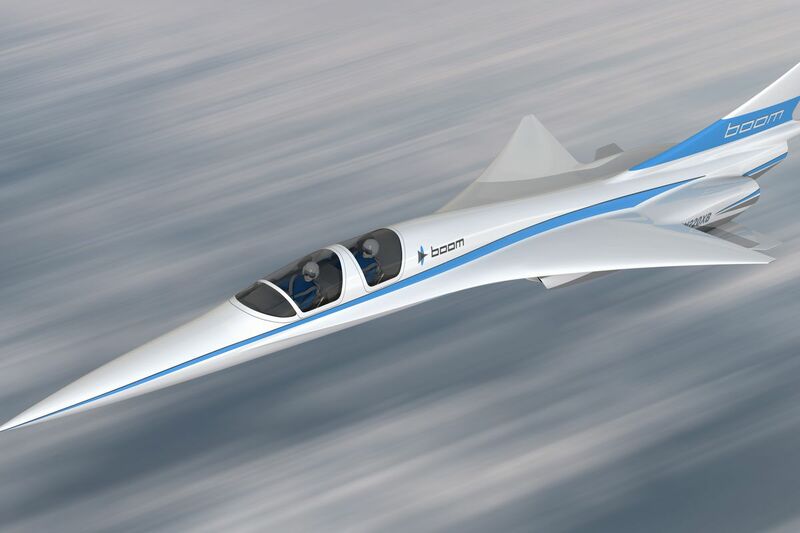 The plane’s return is the result of the ambitious and dedicated efforts of Colorado startup Boom Technology Inc.
Boom’s supersonic jet will be 10 percent faster and 75 percent more affordable than the Concorde. Boom’s 55-seat passenger plane will have a range of 4,500 nautical miles (8,334 kilometers). Test flights for its 1,451 mph (2,330 kph) aircraft, nicknamed “Baby Boom,” will begin by the end of 2018. The full-size Boom aircraft could fly up to 1,687 mph, which is 100 mph faster than the Concorde. Flight time from London to New York could be reduced to just 3 hours, 15 minutes. The firm has already raised about $41 million (£30.5 million) in funding. Recently, it received a $10 million boost from Japan’s number two carrier Japan Airlines, which also took an option to purchase up to 20 of the planes Boom is developing. Boom also entered into an agreement with the Spaceship Co., the manufacturing division of Richard Branson’s Virgin Galactic, for using their engineering, design, and flight-test support services. The Concorde was created by Britain’s British Aircraft Corp. and France’s Aérospatiale. It was first flown in 1969, but its first commercial flight was in 1976. Only 20 Concordes were ever built. Air France and British Airways were the only two airlines who ever flew Concordes. The plane stayed in service for 27 years. The last commercial passenger flight of the Concorde was on Oct. 24, 2003.